Entry level speakers in the Monitor Series sitting below the Monitor 100 with MMP II driver cones, Black C-CAM dome and Hive II technology. 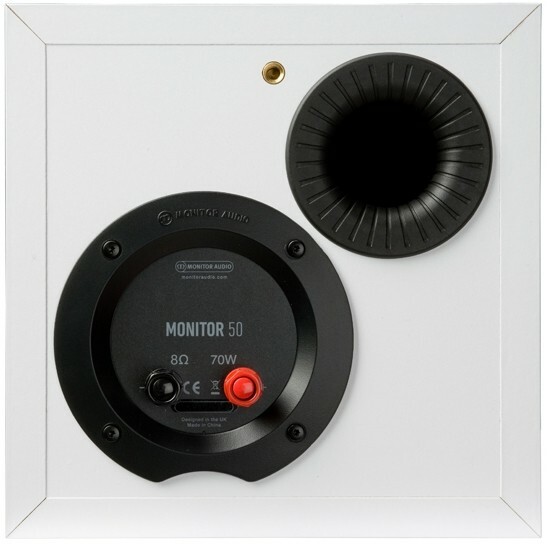 Monitor Audio compact Monitor 50 boasts a distinctive square shape and are designed to be placed in a bookshelf type environment delivering a surprisingly powerful performance for such small speakers. Their orange driver cones ensure that they will bring fun and function to any situation. 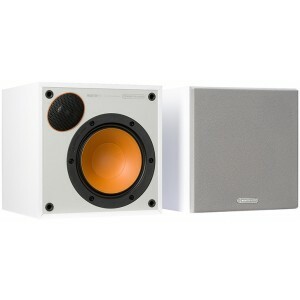 The Monitor 50's modern square cabinets complement the 5.5" MMP II drivers and 25mm black C-CAM tweeters. By placing the tweeters in the top corner of the speakers, Monitor Audio has been able to reduce the size of the cabinet and give a unique appearance. Combining the C-CAM dome tweeter from Monitor Audio’s multi-award-winning Bronze series with a creative use of the drivers’ configuration, the speakers are tuned to deliver an authentically musical performance. The compact dimensions, driver technology and rear port allow the speakers to perform in the most confined locations. As the cabinet is rear ported, the output is well damped and is suitable for placement close to a wall. A single high-quality quality gold plated binding posts provide the connections for a suitable amplifier. The Monitor 50s certainly sound bigger than they look. Monitor Audio's creative use of 5.5" and 6.5" drivers have delivered a compact bookshelf, floorstand model together with larger bookshelf and floorstander to complement larger rooms and higher power applications. The Monitor Series delivers detailed audio resolution in both two-channel and multi-channel configurations.